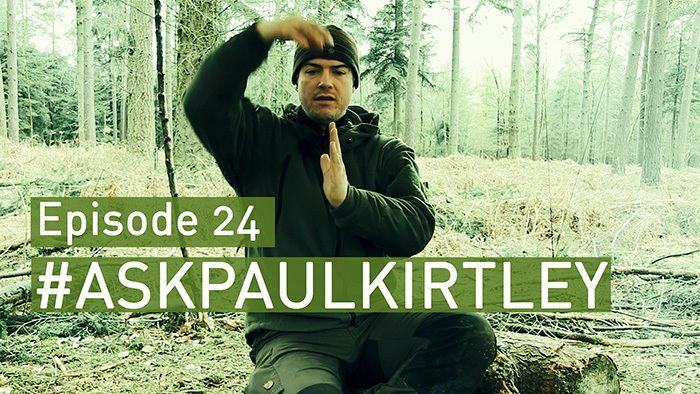 In this episode of #AskPaulKirtley I answer questions about if it is still possible to live sustainably from trapping and hunting, where can you source birch bark of high enough quality for birch bark containers, how do you find decent firewood in winter, is the pain of portaging worth it, will a Mora Companion hold up to field use and what are my daypack recommendations. I have Terry Grant’s book on tracking which I really enjoyed. For me bushcraft is about skill not kit. I own a simple Mora, a cheap but strong rucksack, a pair of good walking boots, a functional warm jacket and I go off into the woods every weekend with that. I’ve only just got myself a laplander saw. I’m really focusing on developing skills and knowledge. At some point I hope to go up to Scotland and not use a knife, paracord, ferro rod or any modern tools. I’ll keep them with me in case of an emergency but I will train myself to become more resourceful and less reliant on equipment. I think he got that from Mors Kochanski? very good paul I enjoyed the show with your students I thought the format was very good but I really enjoyed the behind the scenes, outdoors wind and rain and your staff stiil looked enthusiastic. credit to them and you if its not raining its not training ,in episode 21 you talked about making something at home that would sit inside a kettle for suspending it could you explain this abit more. In canada I heard there is only 1 sqaure km for every person.